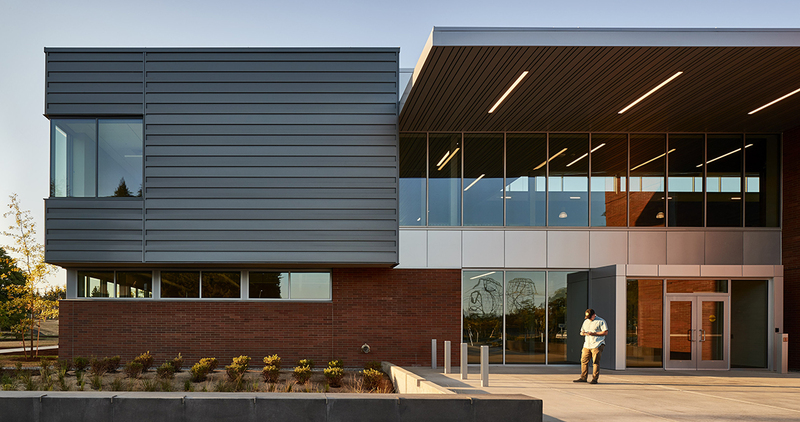 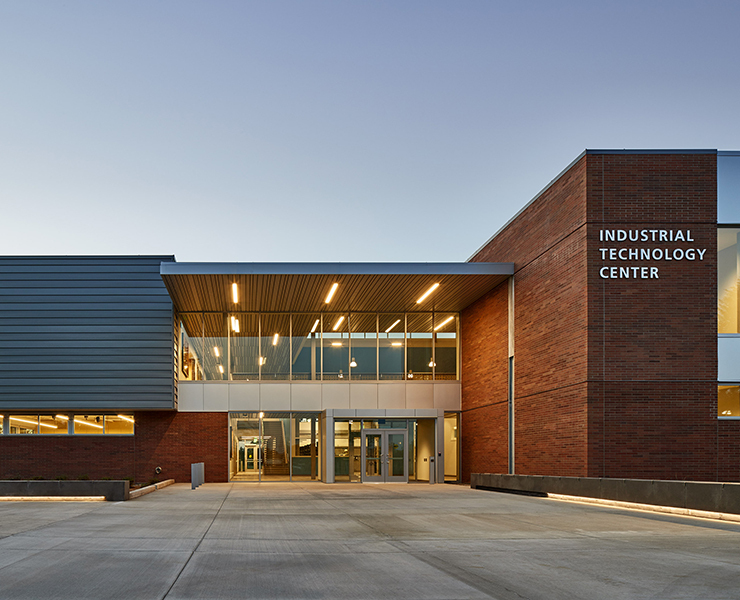 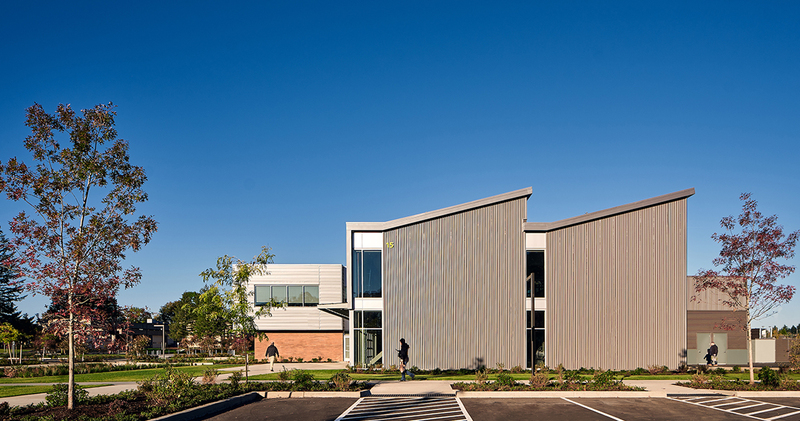 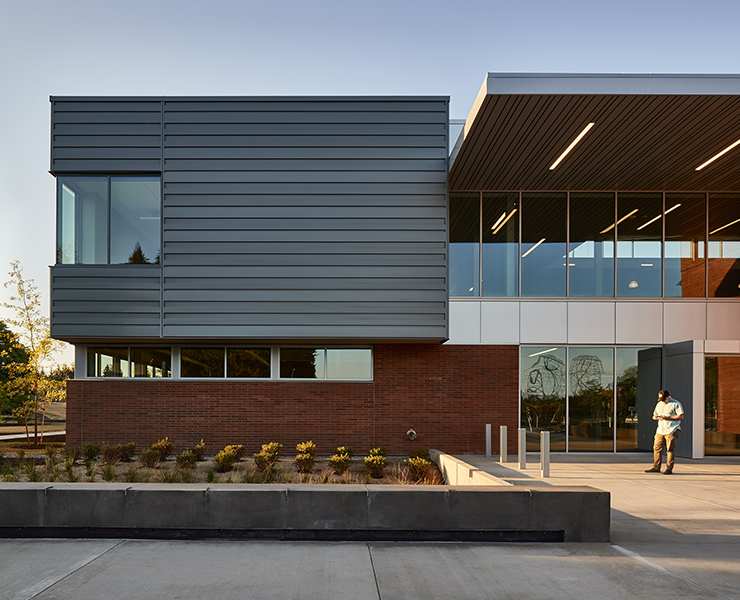 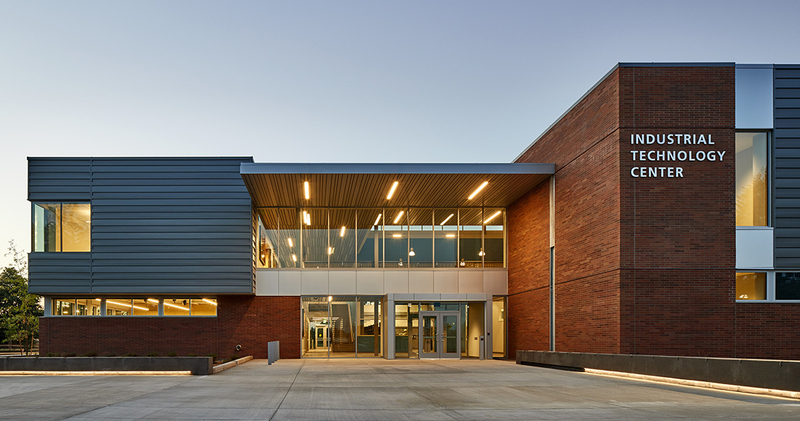 Clackamas Community College’s new Industrial Technology Center provides a state-of-the-art facility to educate a highly trained skilled workforce that can step into the rapidly advancing fields of manufacturing, computer operated machining, and sustainable technologies. 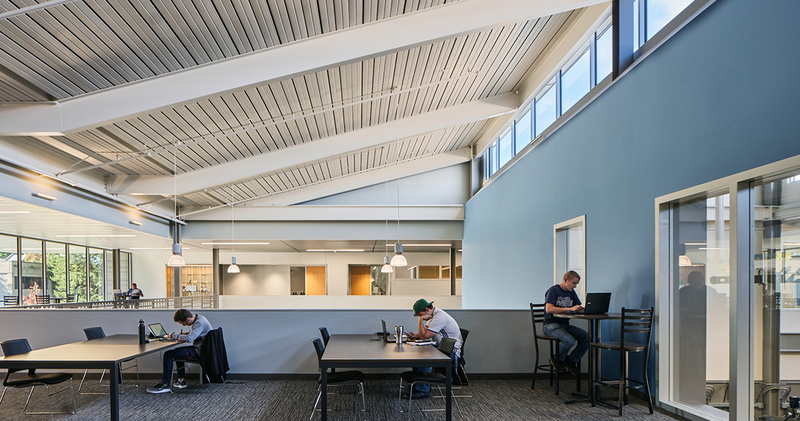 Program areas include a flexible high bay shop space, classrooms, a flex lab and study spaces with visible connections to the shops. 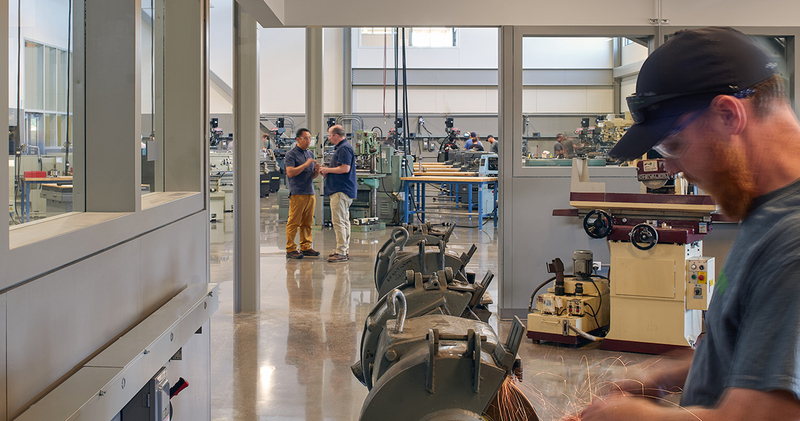 Spaces were designed to invite and engage the industry partners who are foundational to the program’s success. 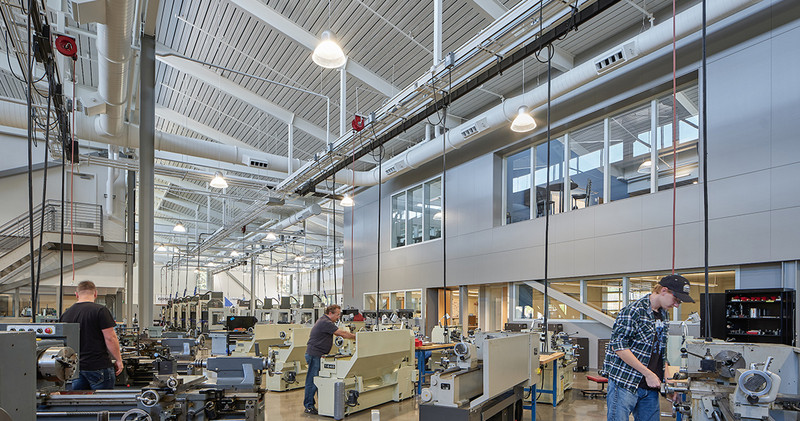 Totaling approximately 45,000 sf on two floors, the workshop and teaching spaces accommodate industrial technology, including regional partner programs, a Renewable Energy Technology lab, a flex lab / maker space, computer labs, informal learning and general classrooms. 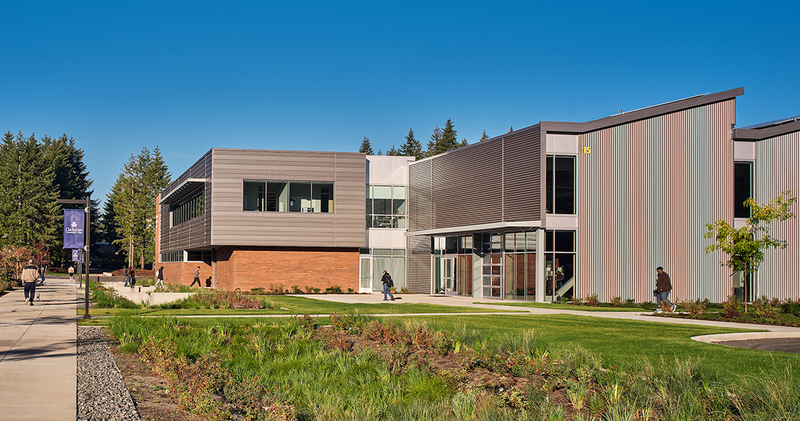 The new building creates a new active campus entry, addressing the College’s Master Plan and long-term goals.